Volkswagen has revealed their latest luxury sedan at this years Geneva Motor Show, the Volkswagen Phideon. 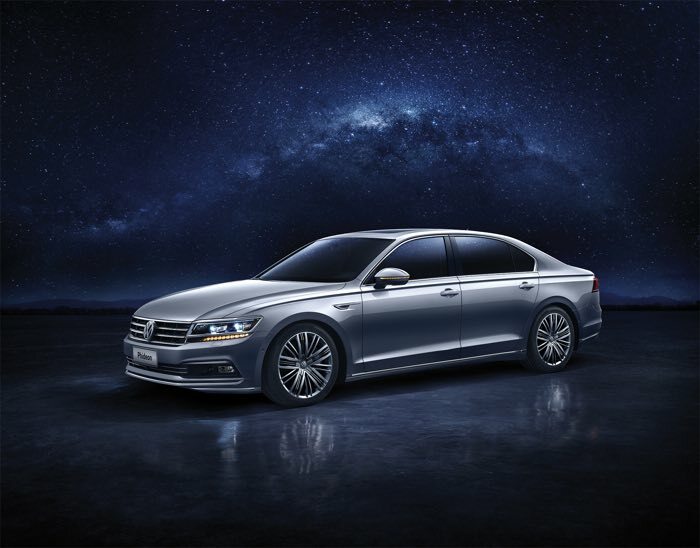 Volkswagen have said that they will be launching the new Phideon in China in the third quarter of 2016. The all-new Volkswagen PHIDEON luxury sedan is making its global debut at the Geneva Motor Show. This innovative and luxurious four-door car is positioned above the Passat and the Magotan, which is available in China, and thus in the premium segment. The elegant new five-meter sedan will be launched on the Chinese market in the third quarter of this year. With the debut of the PHIDEON, which was developed and designed in Germany, Volkswagen is adding a crucial pillar to its model range. When designing this car, Volkswagen made use of the technical expertise of its Chinese partner, SAIC Volkswagen, particularly its extensive experience of the wishes and requirements of customers. SAIC Volkswagen will also manufacture the new model. You can find out more details about the new Volkswagen Pideon over at the company;s website at the link below.